Though I have read Panchatantra when I was a kid, I hardly could remember the stories now as I had read them more than 30 years ago. Now you might be roughly knowing my age :-) Having said that, though I felt the actual story was more focused and written for the kids but the new version I felt is apt for all ages. The stories talks in detail about various life events by stressing on morals but in an ironic way. This is a lengthy write-up and if you need to grasp all the contents, you may have to spend at least 4-5 days. The collection of 24 stories(I guess I have got that right) has a hidden gem and revolves around characters portrayed by various animals. I was also pleasantly surprised with the usage of Tamil words(in English of course)in few words. Though they were bad words, I am not complaining it here since most of us including the kids are aware of them these days. I can very well say that the usage of these words are totally justified. 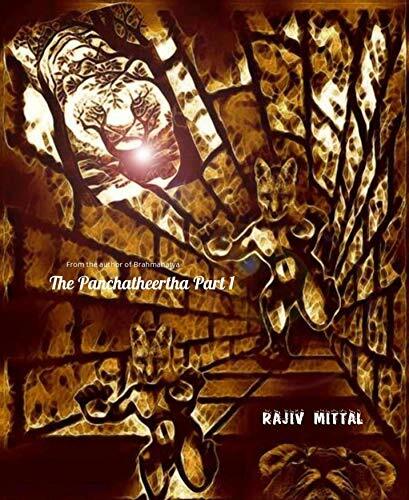 If you have evergreen memories of the actual Panchatantra stories, you would like these stories doubly as you can very well relate it to the original version and as I have mentioned earlier that I hardly remember the actual stories, I felt like as if I am reading them all, totally new/afresh.